This is definitely a restaurant quality salad with a unique tasting dressing. It's an awesome addition to a pasta dinner, but could easily stand alone as a luncheon entree. 1. 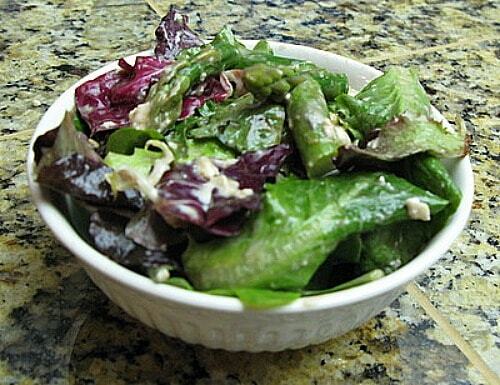 Prepare vinaigrette: In a small saucepan over medium heat, combine the balsamic vinegar, sugar and garlic and bring to a simmer, stirring frequently to dissolve the sugar. Simmer the mixture, uncovered, until reduced slightly, about 5 minutes. Add the raspberry jam and cook for 1 minute longer. 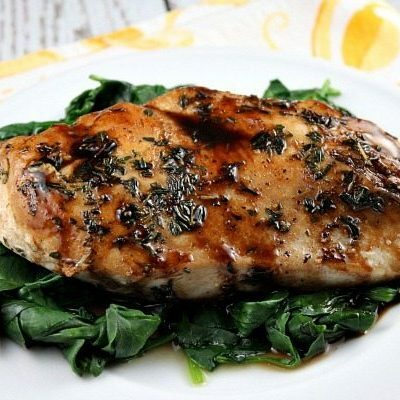 Remove from heat and let cool to room temperature, then whisk in the red wine vinegar followed by the canola oil. Season to taste with salt and pepper. Set aside. 2. 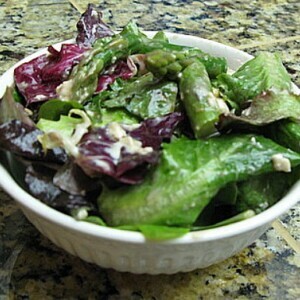 Assemble salad: In a large bowl, combine asparagus, romaine, greens, most of the pine nuts, and most of the goat cheese. 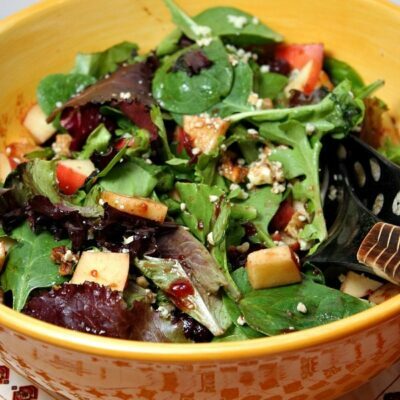 Drizzle vinaigrette over the salad and toss gently to coat all the ingredients. Season to taste with salt and pepper. 3. Transfer salad to chilled salad bowls or plates. 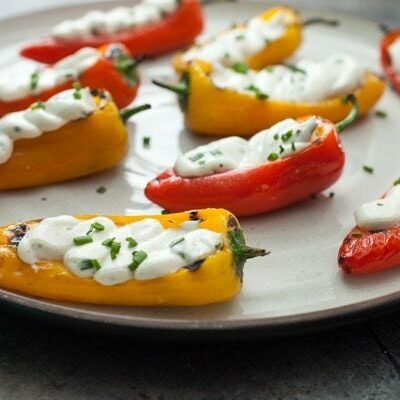 Garnish with remaining pine nuts and goat cheese. Serve immediately.